Through out the past month, we have been making hand-made fire brick for my new groundhog kiln which is under construction. It has been quite a learning curve! Temperatures have run in the upper 90’s each day of the past month of June and has slowed work. The fire brick are being made from local kaolin deposits which we dig by hand. We are using a modern pug mill/mixer to process the clay. From there it is gathered up and packed into the wooden molds I made. We are making “sand-struck” brick, which means the molds are dipped in water and dusted with dry sand. 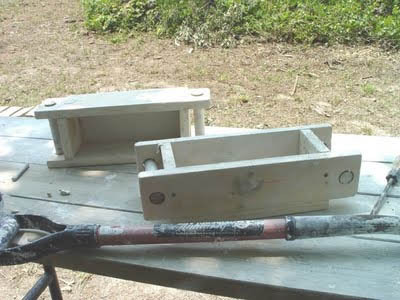 The sand helps release the brick from the mold. The fire brick are placed on pallets in the sun to dry. They must be turned often to keep them from warping. Once we make the required amount of brick, they will be stacked into a kiln-like shape with a fire box formed at one end and a chimney at the other. Heat will be gradually built up over several days until they reach about 2,400 degrees F. Once the brick cools, they will be sorted and used in the groundhog kiln construction. Some of our fire brick drying in the sun (left). 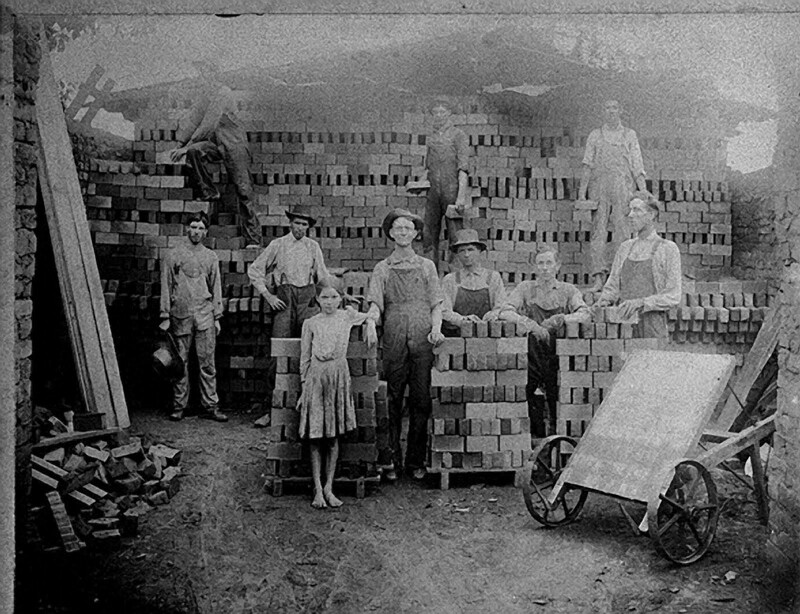 Men building a brick scove or clamp kiln to fire the raw brick, early 1900’s (right).